Simple & secure password management across devices and computers. 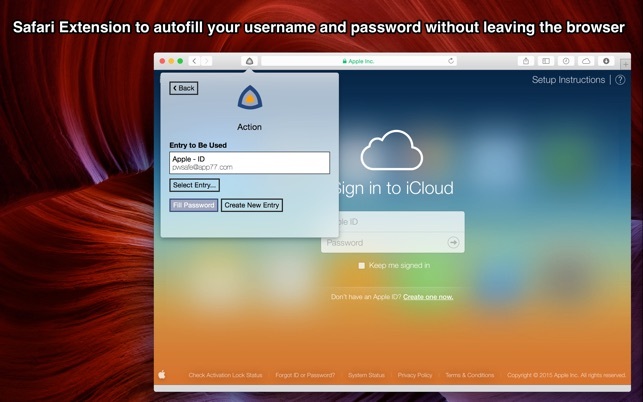 pwSafe uses iCloud to keep your password databases backed-up and synced between Macs and iOS devices. 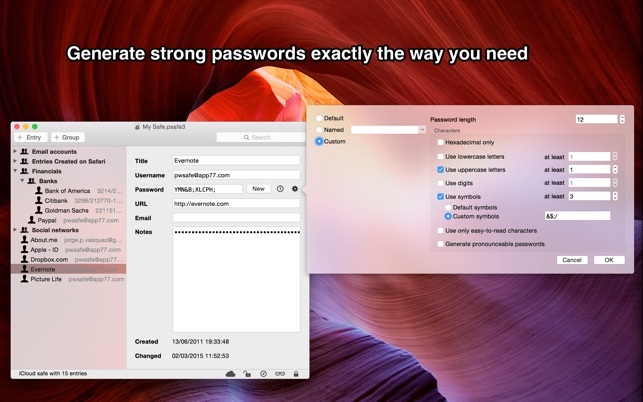 It is compatible with open source Password Safe. This application is not related to any application developed and/or marketed by PSafe Tecnologia S/A, including PSafe Total. - Clears password from pasteboard after a timeout period, when the computer sleeps or when the app exits (fully configurable). - Locks safe when the app exits. - Password is marked with all kinds of "non-persist" flags, so that pasteboard managers don't save or remember it. 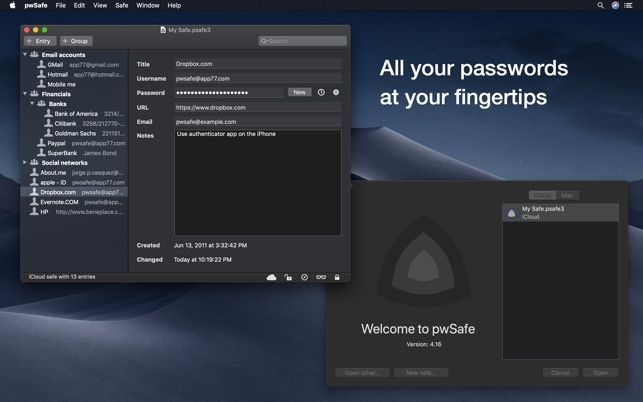 Instead of trusting on a single developer's security knowledge, pwSafe borrows all its encryption code directly from the famous Password Safe open source password manager (http://passwordsafe.sourceforge.net/). Password Safe has been originally created by security guru Bruce Schneier and nowadays is maintained by Rony Shapiro. Since it has been around as an open source project for more than a decade, it has been extensively reviewed by many experts. I have been using PasswordSafe on Windows since 2003, shortly after it came out. When I moved to a Mac at work, I looked around for a compatible app and used the free Java version for several years. It mostly worked, but had some quirks. I recently got a new MacBook Pro and decided to see if anything better was available. 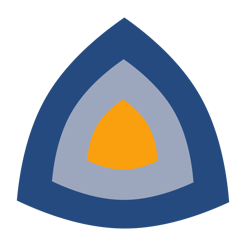 I looked at StrongBox PasswordSafe and pwSafe. I like the user interface better in StrongBox, but it did not support password histories (neither did the Java version). I chose pwSafe because of its support for histories. The two things that would make pwSafe better, 1) a trial or free version so you can see how it works before having to pay for it and 2) some enhancements to the UI, such as color rather than black and white, using folders rather that two people to indicate a password “group”. I would also like it to have an option to revert back to my root folder list each time I open it rather than going back to the last entry I used. It should also remember the size of the window as I always have to resize it bigger to find what I am looking for. This app and the companion iOS version work flawlessly with the Windows Password Safe program originally developed by cryptographer Bruce Schneier. Thanks to the developers for creating both apps and for continuing to maintain and develop them. Please don’t go away. All the other password managers are moving to forced online/cloud vaults and there is still a need and a desire to have solid, well-made password managers that keep the vault local or that allow the user to decide where the database is held (i.e. 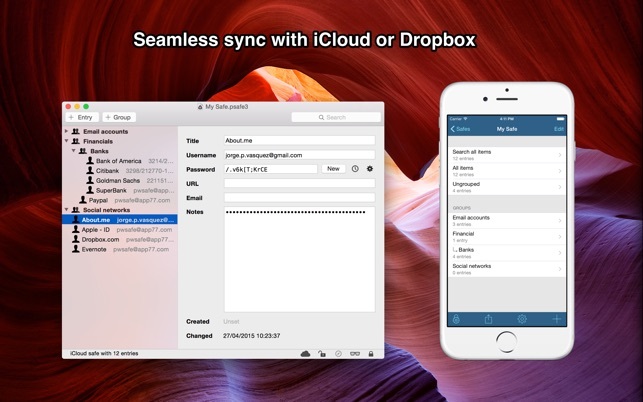 Dropbox or iCloud). This app also lets me manage more than one vault so my wife and I can each have our own separate vault plus another that we share with our kids. Thanks!! I’ve been using this app for years on both the Mac and on several iOS devices. 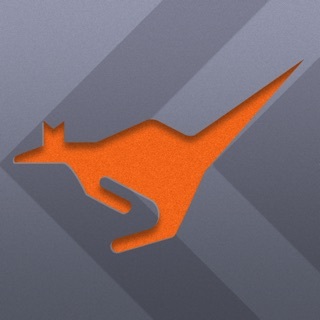 It just works, works well, and gets constantly updated to provide an even better experience. Just call me delighted! I’m just so incredibly happy with it! Never loses my info either. Its very important to me that when I add something on any platform, it shows up in the other, and pwSafe has never let me down. Other apps may have snazzier interfaces, but pwSafe is the workhorse that never stops!